Moving to Abidjan can be both exciting and challenging. Depending on where you relocate from, you may need to make some adjustments in order to enjoy what the city has to offer. The main international airport of Côte d'Ivoire is situated at about 14km south of Abidjan city center and is known as Felix Houphouet Boigny International Airport or Port-Bouet Airport. The airport code is ABJ. If you will be relocating to Abidjan or will be importing items for a business, you may be shipping your items through the Port of Abidjan or by air through the Abidjan Airport. It is recommended in this case to hire a Forwarding Agent. This is a person or company that organizes shipments for individuals or corporations to act as an expert in the logistics of shipping. 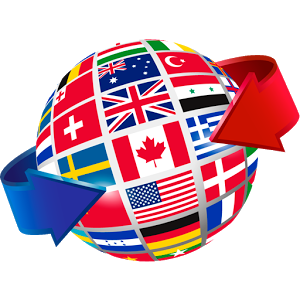 They assist in preparing and processing customs and other documentation needed for international shipments. Moving personal items to a new country can be tricky, but there are numerous companies offering full service moving and shipping to Abidjan. Costs vary according to the volume of goods, origin of destination, and specified length of time involved in shipping. Air freight is fast but very expensive. Some companies also offer storage services and insurance on goods. Some of these documents may not be with you, so you'll probably need to make a few phone calls or take a few trips to obtain them. On the day of departure, don't forget your passport as well. In Côte d’Ivoire, there is only one required vaccination for entering the country -- Yellow Fever. This is completely mandatory and is enforced upon arrival at the airport in Abidjan. You will be required to show your International Certificate of Vaccination Booklet which should be provided to you when you receive your Yellow Fever vaccination. All visitors to Côte d'Ivoire require a visa, except for citizens of ECOWAS member Countries (BCEAO in French) who only require a valid Identity card for a three month period. The ECOWAS member countries are Benin, Burkina Faso, Cap Verde, Côte d’Ivoire, Gambia, Ghana, Guinee, Guinee-Bissau, Liberia, Mali, Niger, Nigeria, Senegal, Sierra Leone and Togo.